Openings Range from 3ft to 10ft. Shown left is the 3 ft or 92cm Opening version. This has a depth of 12" or 30cm. Shown below to the left is the 5 ft or 152cm Opening version. This has a depth of 24" or 61cm. There is also a 4ft or 122cm Opening Version with a depth of 18" or 46cm. The full range of Opening Sizes with prices is shown below. The 6 ft, 7ft, 8ft, 9ft & 10ft Opening Crossover Arches are made to special order. This takes about 2 weeks depending on the time of year. 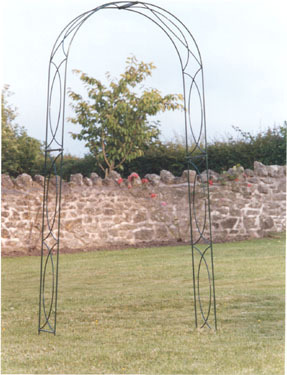 This is an alternative economic way of forming a Crossover Garden Arch with an opening of 5 ft or 152cm. The depth remains 12"/31cm. There is a delivery charge - see details at the bottom of this page. All sizes of the Crossover Arch can be linked together to form a Tunnel. The arrangements are similar to those for our English Rose Arch Tunnels. Please click here for details. If you are interested in a Crossover Arch based Tunnel please contact us for a quote and further details. Contact details are shown below. 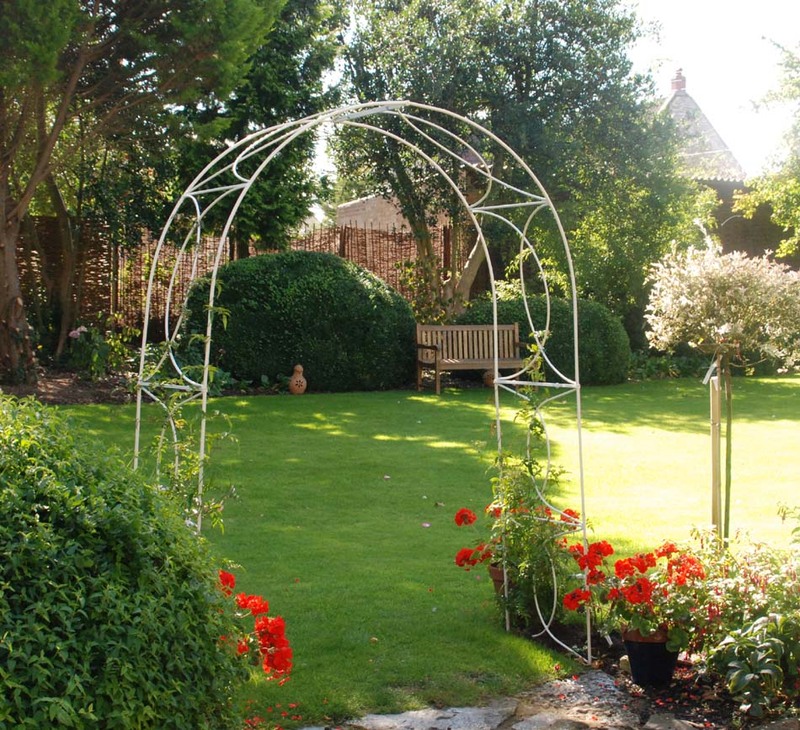 Click here for details of our Arbours, and Gazebos .